How to Stay Busy During Retirement? 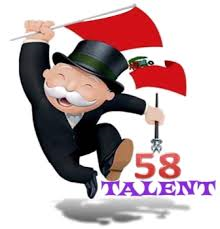 For you we present Talent58"
Talent58.com offers "Super Elite Visibility" for talented professionals. Mr. Anil is a senior professional from Nagpur. He is also graduate in Vedant Jyotis & Vatsu. Having experience of around 35 years in marketing of Electrical Peripherals, Bio-Toilets, Bio-Digesters & Environmental friendly lighting systems and other technological goods. Recently, it was in the news that the Indian government is contemplating raising the retirement age of scientists from 60 to 62, so that their “acumen can be put to use for another two years”. Why can’t we replicate this in other industries as well? Even if professionals are not on full-time pay roll past the age of 60, their experience and expertise can be profitably utilised on a part-time or consultant / advisorial capacity. This makes sense, especially in a country, which rates lowest on the global pension index (according to the 2014 Melbourne Mercer Global Pension Index). “Several private companies are hiring retired professionals depending on their competence and leveraging from their experience and networking skills. It is a win-win for both the company and the employee,” says Sampatkumar B Aratti, VP and CHRO, Lapp India Pvt Ltd. He however does not think that we should push the retirement age, as this may result in reduced opportunities for young talent. This is a sentiment that is echoed by many in the industry. Yet, when you consider the fact that globally, most countries have their retirement ages between 62 and 67 (Australia, Greece, the US and the Scandinavian countries all touch 67 for certain professions), India’s rigidity in this area seems to merit a rethink. “Retirement is not mandatory for many professionals including doctors, lawyers and auditors and hence, there is a weak case to impress a compulsory retirement age to a profession,” remarks T Shivaram, head of HR, SAP Labs India. Recently, at the EFI National HRM Summit 2014 & CIE 34th Employee Relations Conference, a representative from the Army Welfare Placement Organisation made a presentation, exhorting the delegates to consider hiring qualified ex-servicemen for positions they were unable to fill. Certainly, the preference will always be for professionals in their prime. But are we considering retired veterans as a second or even a third option? “The openness of an organisation to retired professionals strongly depends on the nature of the business. A firm that requires professionals to regularly travel and be equipped with advanced technology would think twice before hiring. However, retired professionals with the same expertise can be considered for the position of a consultant,” explains Zafar Rais, CEO, MindShift Interactive. The problem of unproductive but employable senior professionals is manifold. From a psychosocial perspective, it is depressing for talented individuals to suddenly stop having a sense of purpose and contribution. And from a financial perspective, it puts a heavy strain on their ability to provide for themselves and their families, considering that savings rates rarely keep up with inflation rates. According to the Global Benefits Attitudes Survey, employer retirement plans have emerged as the top source of income for retirement. What can organisations do to compensate employees financially for their post-retirement life? The Global Benefits Attitudes Survey points to the fact that when given an independent choice between various components of rewards, Indian employees prefer a larger base pay hike across all age groups. Therefore, individuals must start preparing for retirement independently, irrespective of what benefits they stand to receive from their employers. Celebrating medical advances that allow us to live longer has little meaning if this extended life is not purposeful and financially sound. We, as a society, need to open up to the reality that not everyone may prefer spending thirty years of their life watching the rest of the world go about its business. Who is responsible for the mess? A true EPISODE spiced with fiction, in the form of a short story is here, as a stimulus to your brain to judge – who is responsible for the mess? The wheat crop of a Nation failed miserably. The nation was put on the brink of famine and had to go on kneels with a begging bowl in hand to feed its population through the year. The Nation had to make many military concessions, threatening its integrity for many years to come. Any delay in getting the grains from other nations threatened existence of its livestock, which people would have slaughtered to feed themselves and put the Nation back by 5-6 years. Getting the requisite quantity from open market, pushed up food prices all over the world. It was not only the Nation in question but also the entire population of the world, who paid the price of an incidence. The monthly budget of all families across world went haywire and many people could not manage two square meals. A scientist had successfully protected the crops against weather since last three years, which no body else did previously and he had brought the Nation to be self sufficient in the matter of food grain, in the preceding three years as against an import of 15 % of its total requirement per year, in the previous three decades. Report of incidence of the current years impending crop failure, was read out before group of Ministers by the scientist. With a deep breath the scientist stared down at his papers and plunged straight into his report -------- “ Last December and January our long range weather forecast satellites predicted an unusually damp weather and early spring. As a result and in accordance with habitual scientific practice it was decided at The Ministry of Agriculture that our seed grain for spring planting should be dressed with a prophylactic dressing to inhibit fungoid infections that would probably be prevalent as a result of dampness. This has been done in the past with very encouraging results. The dressing selected was a dual-purpose seed dressing; an organo mercury compound to inhibit fungoid attack on the germinating grain and a pesticide and bird repellant called Lindane. It was agreed in scientific committee that because our country, following the unfortunate damage through frost to the winter wheat crop, would need at least a hundred and forty million tons of crop from winter wheat plantings, it would be necessary to sow six and a quarter million tons of seed grain”. The scientist further went on “ At the rate of two ounces of organo-mercury seed per ton of grain, the requirement was for three hundred and fifty tons of dressing. There were only seventy tons in stock. An immediate order was sent to the manufacturing plant for this dressing to go into immediate production to make up the required two hundred and eighty tons. As you all know there is only one factory with facility to produce this dressing. The requirement does not justify many such factories to survive. The said factory is a major chemical plant, making many insecticides, weed killers, fertilizers and so forth. The production of two hundred and eighty tons of chemical would take less than forty-eight hours. Due to a confusion in communication, the factory was undergoing annual maintenance, and time was running short if the dressing was to be distributed to the one hundred and twenty seven dressing stations for seed grain scattered across the country, the grain treated and then taken back to thousands of locations and farms in time for planting. So a young and energetic official was deputed from capital to hurry things along . He ordered the workmen to terminate what they were doing, restore the plant to operating order and start it functioning again. The factory started work again, although the maintenance engineers had not quite finished. But something malfunctioned-a hopper valve. Lindane is a very powerful chemical and the dosage of Lindane to the remainder of organo-mercury compound has to be strictly regulated. The valve on the Lindane hopper, although registering one third open on the control panel, was in fact stuck at full open, the whole two hundred and eighty tons was affected. Further, there was a conjunction of coincidence and error, the Chief analytical and quality control chemist was away on holiday at south of country during the plant shut down. He was summoned back by cable. Because of fog he had to divert and continue his return by slow trains. When he arrived production was complete. The chemist insisted on quality control tests. The young and energetic official from capital to hurry things along wanted the entire production shipped at once. An argument ensued. In the end a compromise was reached. The chemist wanted to test every tenth bag of dressing, 28 bags in all. The young and energetic official from capital insisted he will give only one. That was when an additional error was added to the episode. The new bags had been stacked along with the reserve stock of seventy tons left over from last year. In the warehouse one of the loaders, receiving a report to send one single bag to the laboratory for testing, selected one of the old bags. Tests proved it was perfectly in order and the entire consignment was shipped. The effect of an excessive component of Lindane in organo-mercury compound is that it causes a toxic effect against the germinating seed in the ground, rather than a protective effect. The seedlings come up, if at all, stunted sparse and mottled brown. There is virtually no grain yield from such affected stems. Seventy tons of reserve compound was perfectly all right. The two hundred and eighty tons of new compound was all affected. Thus four fifth of seeds were affected and an equal amount of crop will be lost. The silence in the room was murderous. THE QUESTION – WHO IS RESPOSIBLE? WHO HAS BEEN HANGED AND/OR WHO SHOULD BE HANGED? 10 Benefits of Hiring Senior Talent ! Indian employers spend millions of man-hours each year placing ads, prescreening and interviewing candidates, and hiring and training workers, only to find the suitable person. So where can businesses find a dependable, steady workforce that has no plans to move up and out? A workforce dedicated to the job at hand and that takes pride in its work? Any business owner who's hesitant to hire a senior talent should consider these ten benefits. Senior talents have unique skills & values and the potential savings to your company in time and money. Their contribution to your company could positively impact your bottom line for years to come. 1. Dedicated workers produce higher quality work, which can result in a significant cost savings for you. 2. Honesty is common among senior experts, whose values as a group include personal integrity and a devotion to the truth. 4. Good listeners make great employees because they're easier to train employees only have to be told once what to do. 5. Reduced labor costs are a huge benefit when hiring senior talent. Most already have an additional source of income and are willing to take a little less to get the job they want. Money is the secondary priority for them. 6. Organizational skills among senior mean employers who hire them are less likely to be a part of this startling statistic: More than a million man hours are lost each year simply due to workplace disorganization. 7. Maturity comes from years of life and work experience and makes for workers who get less "rattled" when problems occur. 8. Communication skills- knowing when and how to communicate evolve through years of experience. 9. Pride in a job well done has become an increasingly rare commodity among younger employees. Younger workers want to put in their time at work and leave, while older employees are more willingly to stay later to get a job done because of their sense of pride in the final product. 10. Efficiency and the confidence to share their recommendations and ideas make senior experts ideal employees. Their years of experience in the workplace give them a superior understanding of how jobs can be done more efficiently, which saves companies money. Their confidence, built up through the years, means they won't hesitate to share their ideas with management. "Talent58.com is an excellent initiative that is generating many opportunities for those who want something more rewarding and challenging"